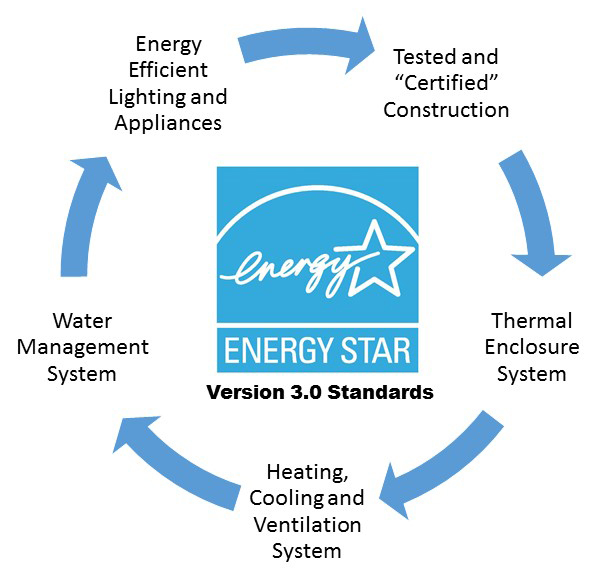 Moline built "Certified" Energy Star homes are designed, constructed, and independently verified to meet rigorous Version 3.0 requirements for energy efficiency set by the U.S. Environmental Protection Agency (EPA). Thermal Enclosure System: A complete thermal enclosure system that includes comprehensive air sealing, quality-installed insulation and high-performing windows to deliver improved comfort and lower utility bills. Heating, Cooling and Ventilation System: A high-efficiency heating, cooling system and ventilation system that is designed and installed for optimal performance. Water Management System: A comprehensive water management system to protect roofs, walls and foundations. Energy Efficient Lighting and Appliances: Energy efficient products to help reduce utility bills, while providing high-quality performance. If energy efficiency, cost savings and increased comfort are important to you then be sure to ask prospective builders: Are your homes "Certified" and tested to confirm they meet or exceed Energy Star Version 3.0 standards?